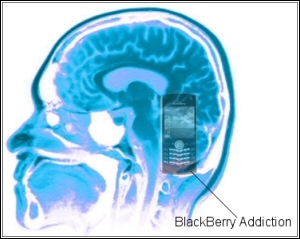 Not sure exactly why but the media love to show us how people are addicted to their BlackBerrys. I am not saying this is not a real issue. Indeed many users should start thinking about seeing a therapist when they find themselves having to check their BlackBerry for new email every 2 minutes or so. It’s just that the media seems to love to portray BlackBerry users in a bad light. When a BlackBerry story makes it to CNN, it is either a massive outage or another company suing RIM for patent infringement. Or yet another addiction story. But don’t be ashamed, go ahead, watch this video of the poor addicted BlackBerry user.